2018 marked our 28th year holding the Tidewater Academy Golf Classic. More than 80 golfers play in our annual tournament which is a primary fundraiser for our school. 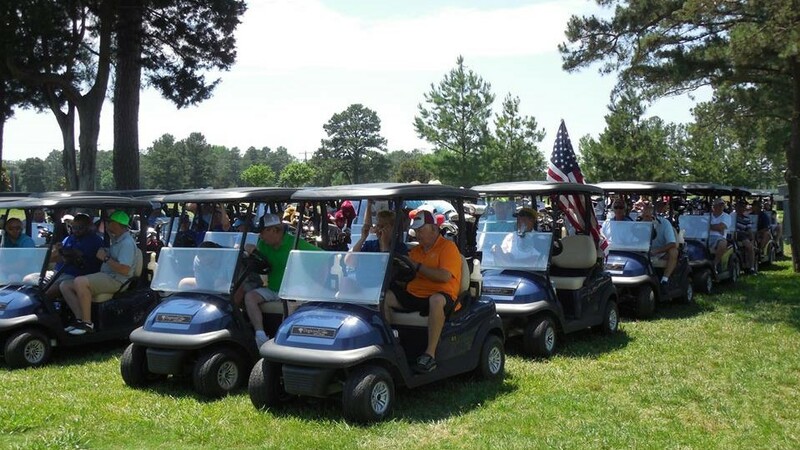 Over the last few years the TA Golf Classic has been held at Dogwood Trace Golf Course in Petersburg as well as Nansemond River Country Club in Suffolk. Golfers enjoy an invigorating afternoon of competition, fantastic prizes and contests, and delicious food and beverages. The format of the TA Golf Classic is four man captain’s choice. Regional businesses sponsor holes, food, and beverages. Play in the TA Golf Classic and experience fun, fellowship, and spirited competition – memories you’ll make for a lifetime! Thank you to our 2018 event sponsors! Hole Sponsors - Manry Rawls, Cowling Brothers, Smithfield Hog Production, Wright Way Driving School, Stuart Kitchen, Wakefield's Great Valu Market, Commonwealth Environmental Services, Brame Specialty Company, Parham's Welding & Fabrication. Friends of the Golf Classic - Ivor Furniture, Colonial Farm Credit, and Sussex VA Chamber. In-Kind Sponsors - Plantation Peanuts, Smithfield Hog Production, Prince George Electric Cooperative, Wakefield A-Plus Subway/Papa John's, and Hometown Web Support. Stay tuned for details regarding 2019's TA Golf Classic!